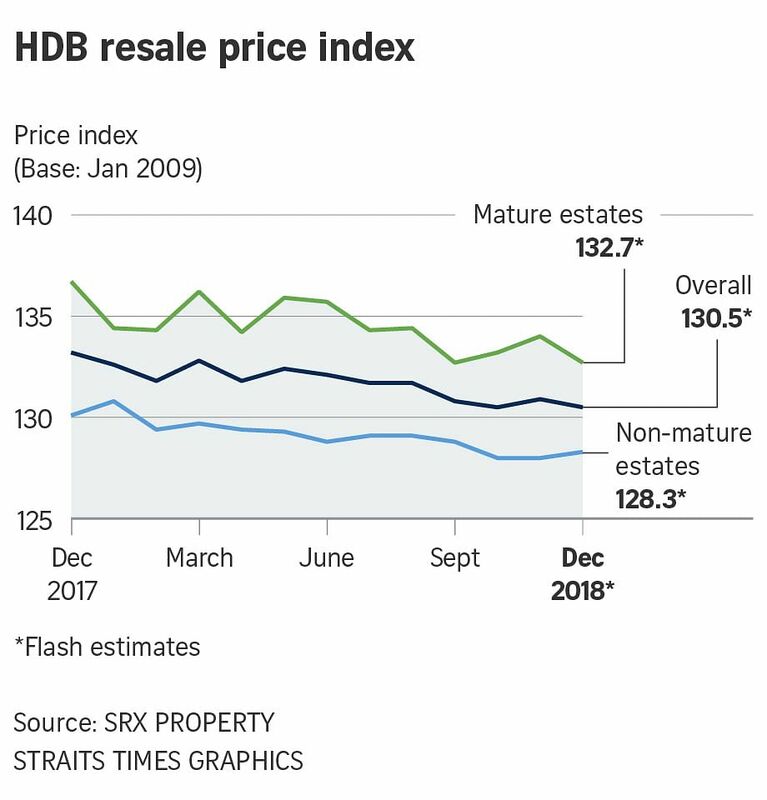 SINGAPORE - The number of Housing Board flats that changed hands in December 2018 was 23.9 per cent lower than in November, a bigger fall than a year ago, according to flash data from real estate portal SRX on Thursday (Jan 3). This was the fifth straight month of decline since July’s cooling measures which included a tightening of loan limits. SRX data showed that the premium that buyers were prepared to pay over market value last month was relatively larger for four- and five-room flats. While the overall median transaction over X-value (TOX) fell $1,000 to negative $2,000, the TOX for four- and five-room flats was negative $1,000 and zero, Ms Sun noted. This was also smaller compared to three-room flats and executive flats, where the TOX was negative $5,000 and negative $6,000 respectively.